The Shine School of Music offers students an amateur or a professional orientation in music. Our classes are held in a safe family friendly environment at the Randburg home of the Sajin Family. Classes are one-on-one, taught by professional teachers. 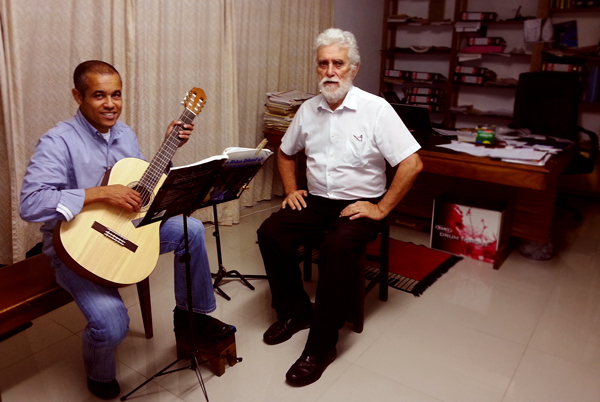 The private nature of the classes provide a unique opportunity to focus on the student and their particular needs when it comes to learning an instrument or passing an exam. The school also provides group classes for small children. These classes focus on a love of music, and aim to inspire children by providing a fun approach to learning and playing their chosen instrument. Our approach to teaching an instrument (or music theory)is based on our philosophy of professional teaching. This means, that by completing his first course in an instrument the student should be able to play the instrument as well as grasp the basics of music literacy i.e. to be able to read and write music letters: notes. This first (basic) course, depending on the age, talent, and diligence of the student as well as the chosen instrument, lasts between four and twelve months (under the assumption that the student attends lessons twice a week). At the outset of the student’s music education the lesson lasts thirty minutes and later, when the student has gained some musical experience, the lesson can be extended to an hour. Upon the completion of the first course the student decides the music style in which he would like to express him/herself on the chosen instrument: classical, folk, country, traditional, flamenco, jazz or pop – or one of the sub-styles of the above-mentioned styles. We can call this the second course in the instruction of the chosen instrument. With this course (which lasts about seventy-five lessons or about a year if the student attends lessons twice a week) the amateur instruction of the student can be complete. If the student feels that further classes with the school is useful for the furthering of his/her musical knowledge as well as for the further formation of his/her spiritual and emotional character than s/he may continue with music education at Shine Music School. This is the moment when many of the students may decide to pursue a professional career in music and undertake graded music exams or continue to study in a more informal manner.